Get trouble of editing or modifying the content of a PDF file? Or just want to copy a picture or some texts in a PDF file? Now, Xilisoft PDF to Word Converter enables you to convert PDF to Word files with original structure and good quality remained. Convenient and easy-to-use, Xilisoft PDF to Word Converter can convert PDF to Word files in formats of DOC, DOCX and RTF only by two steps: drag and drop files and click to start converting! No need of Adobe Acrobat or Adobe Reader, Xilisoft PDF to Word Converter can convert PDF to Word files with all original features persevered to keep you from wasting hours reformatting. Besides, you can preview the PDF files in thumbnail mode and choose to convert several pages or the whole PDF files. Convert PDF files to Microsoft Word files in format of DOC or DOCX according to your Office version and preference. Rich Text Format (*.rtf) is also supported. 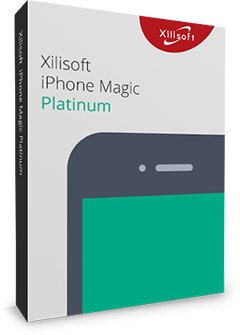 Xilisoft PDF to Word Converter enables you to view source files in thumbnail mode and flip pages freely. You can decide to convert the PDF files on current page or from one page to another to Word files. Set converting tasks to run at the background to spare more CPU resources and get better performance. Auto-exit the application, shut down, hibernate, stand by system, or do nothing which releases you from waiting in front of the computer. Multiple languages are available in interface: English, German, Italian, Spanish, French, Japanese, Simplified Chinese and Traditional Chinese.